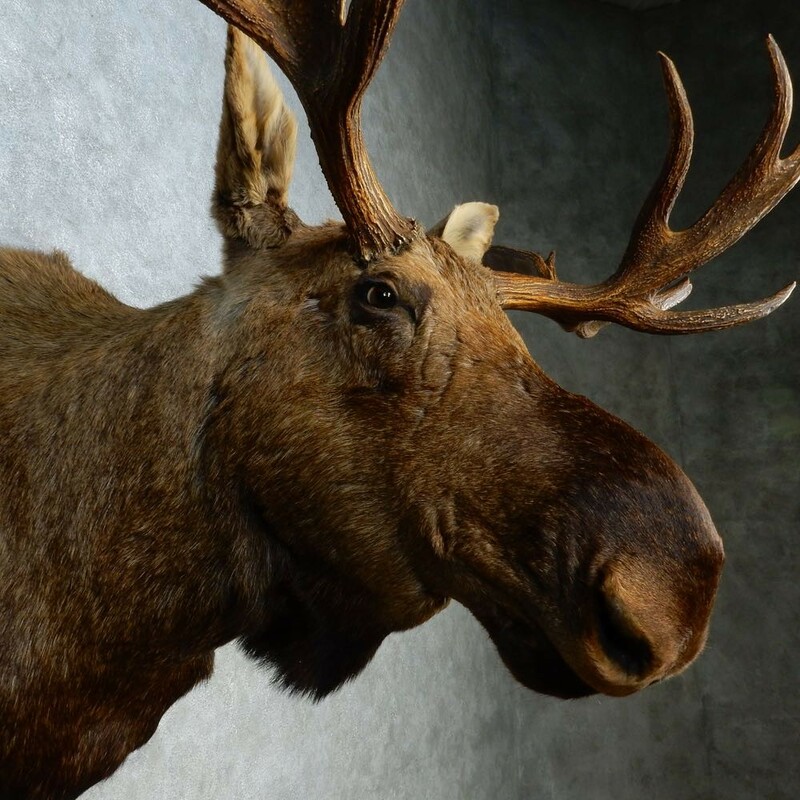 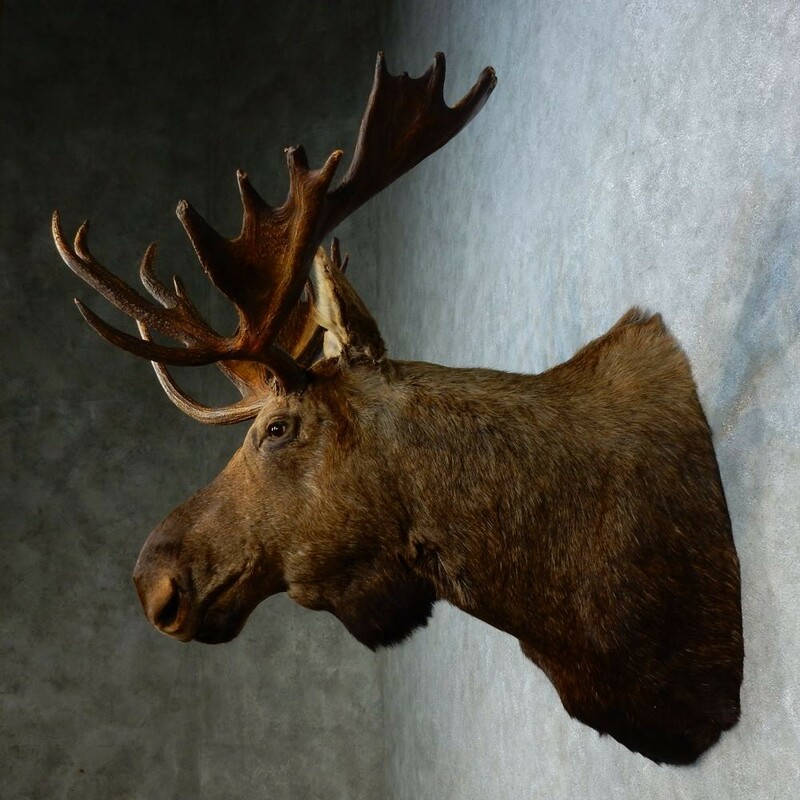 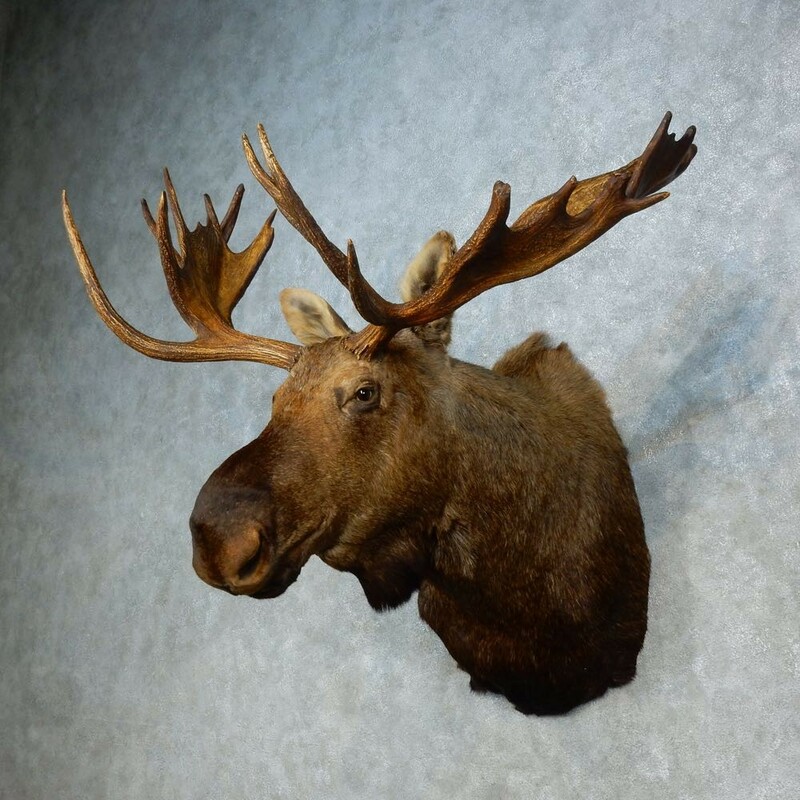 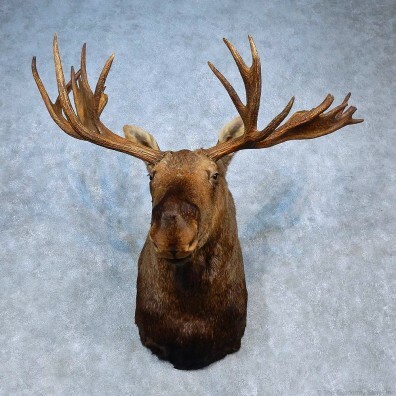 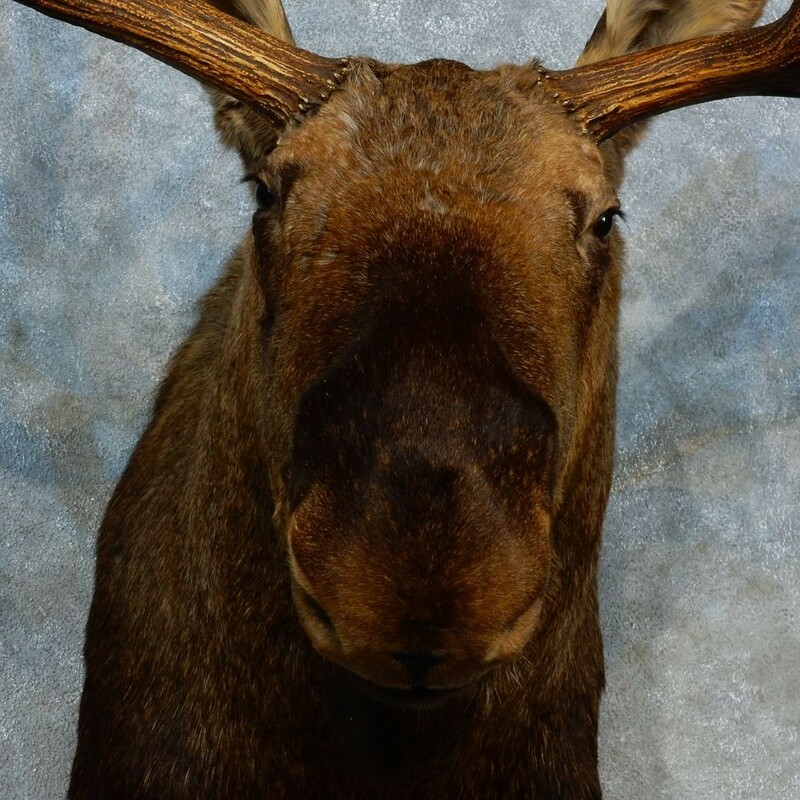 This is a fantastic Alaskan Moose taxidermy shoulder mount, posed with the head in a semi-upright position and looking straight out into the room. 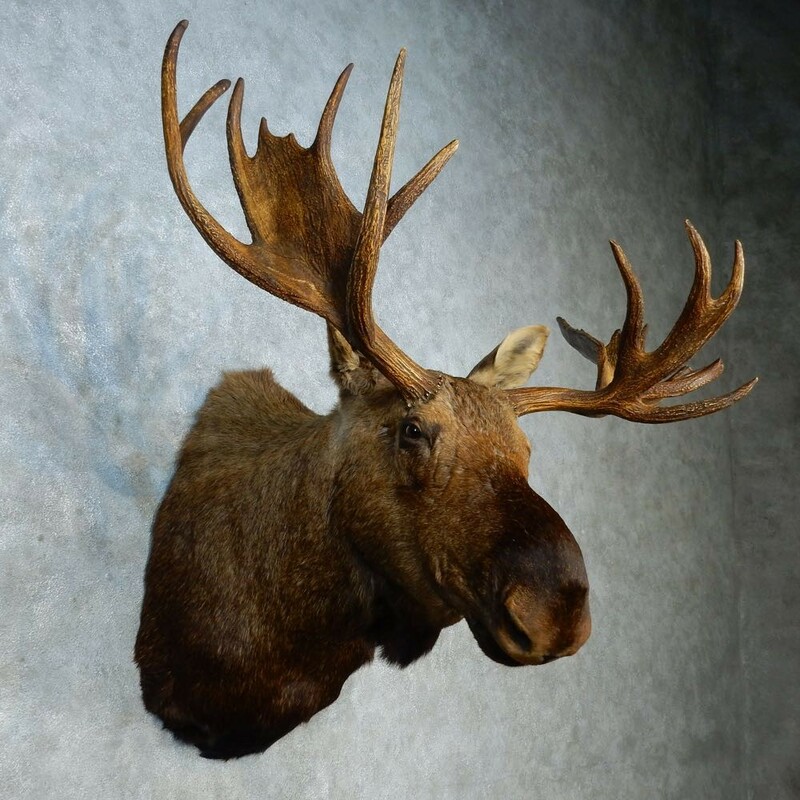 This piece features a great (and incredibly unique) set of antlers with an outside spread of 59 6/8", and an SCI Bronze Medal score of 378 7/8". 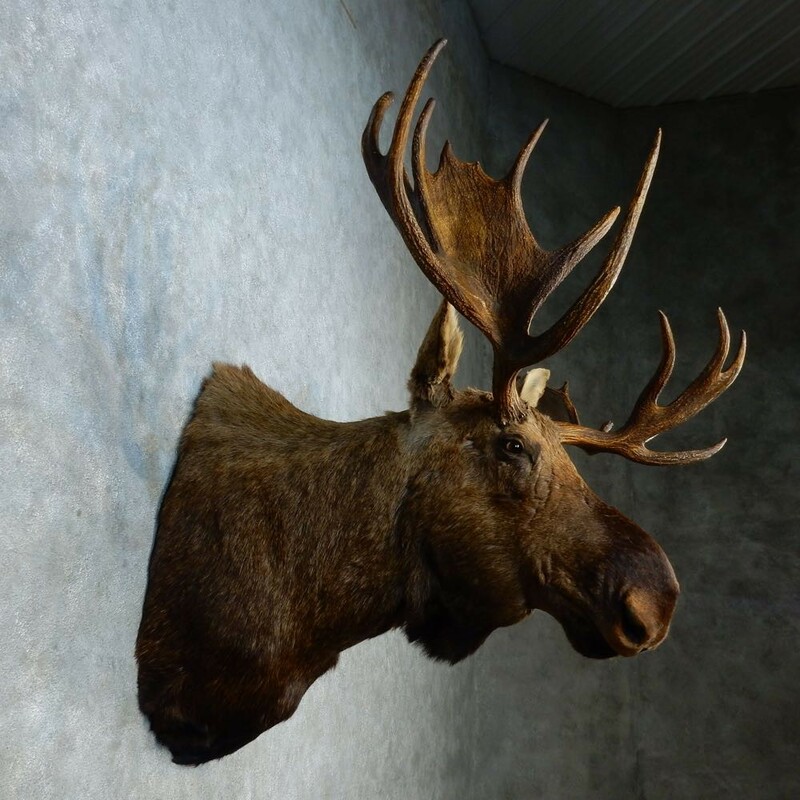 The hide itself is in really nice condition as well, and features thick, soft hair. 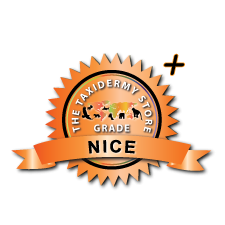 All this combined with expert quality taxidermy earns this item our Nice Plus™ overall quality rating. All applicable dimensions are included to help ensure this item will fit within your intended display space.